Terri Coppersmith is the Vice President for Development and Visitor Experience at the Central Park Conservancy. 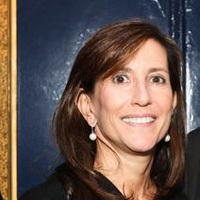 She is responsible for the oversight of all development and communications efforts designed to building the Conservancy’s brand equity, engage the public in Conservancy activities/communications and educate them about the Conservancy, convert users and the general public into supporters of the Conservancy, develop new Urban Park Professionals, relationships with NYC corporate community, and diversify earned revenue. Her key areas of responsibility include building the Conservancy brand, engaging park visitors in Conservancy communications, increasing public outreach, and enhancing visitor experience. As Vice President for Development and Visitor Experience, she trains urban park professionals through the Central Park Conservancy Institute for Urban Parks. In addition, she is responsible for developing relationships with NYC Corporate Community and diversifying earned revenue. Prior to joining the team of the Central Park Conservancy, Ms. Coppersmith spent eight years in museum development for area institutions, including the Whitney Museum. She began her career in advertising. Ms. Coppersmith has a B.S. in Communications from Boston University.